Bill Gates is central to the following article about vaccine crimes in India and Africa. 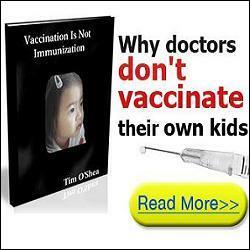 So, as you read about Gates' and the WHO's obscene crimes against children, including mass crippling and deaths, remember that the same groups - WHO, PATH, GAVI, UNICEF, Merck, GSK - and many corrupt vaccine corporations also involved in their own crimes, will be pushing (and profiting from) ebola vaccines, even using military if they can lie enough to create the impression of a global pandemic emergency. A recent report published by Health Impact Newshas reported that the Gates Foundation has found itself facing a pending lawsuit, due to an investigation that is being carried out by the Supreme Courts of India. One such country is India, where the Bill & Melinda Gates Foundation and their vaccine empire are under fire, including a pending lawsuit currently being investigated by the India Supreme Court. [1The Health Impact News article centered largely on a four-page report that was recently published by Economic Times India . Remember to add in Rotary International, whose mission objective is "to eradicate polio." Rotary International's registered agent is PLAN U.S.A., their mission objective is to provide every child a "BIRTH CERTIFICATE". If you know anything about securitization you know then as well that the "DEATH CERTIFICATE" will also reap these criminals millions per child. It is all about human trafficking for profit, through Agenda 21 eugenicists, UNITED NATIONS,and their agents etal. See the Georgia Guidestones for their philosophy on depopulation control. Gates foundation should no longer operate in India till the truth of the matter is investigated. Compensation is due for victims and the foundation should be blacklisted.If there is truth in the story , then assets of the foundation should be seized and those who did this vaccination should be put in prison. فرص مميزة يمكنكم الآن ابادة حشرات بأفضل الطرق من خلال شركة مكافحة حشرات متخصصة كما تعتبر أرخص اسعار شركات مكافحة حشرات بمصر تقدمهغا لكم الشركة الفرنسية .